The weather outside is frightful, and so are many hidden winter dangers that could harm–or even possibly kill–your cat. We here at CatTime do not mean to be alarmist, but it is important to consider the winter dangers that could spell trouble for your cat and what you can do to prevent them. Anitfreeze can be a lifesaver when it comes to your car, but it can end your cat’s life. The fluid has a sweet smell to it, which may attract your cat to check it out. Antifreeze is commonly ethylene glycol or propylene glycol, both of which are incredibly toxic to cats and can cause kidney failure. 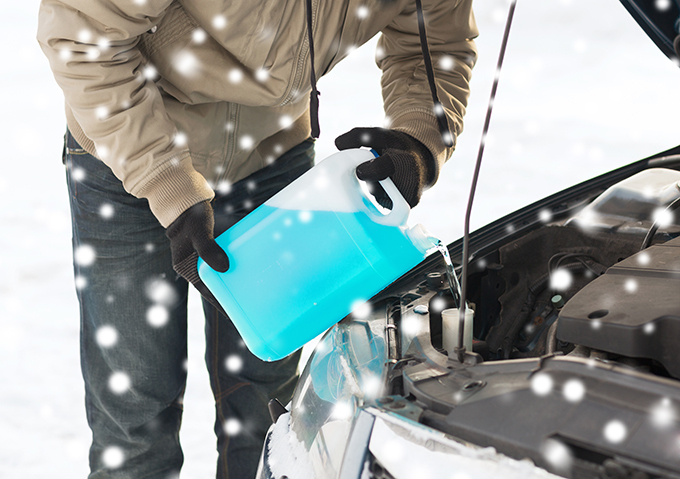 If you keep Antifreeze around, place it under lock and key where your cat cannot curiously knock it over and accidentally consume it. 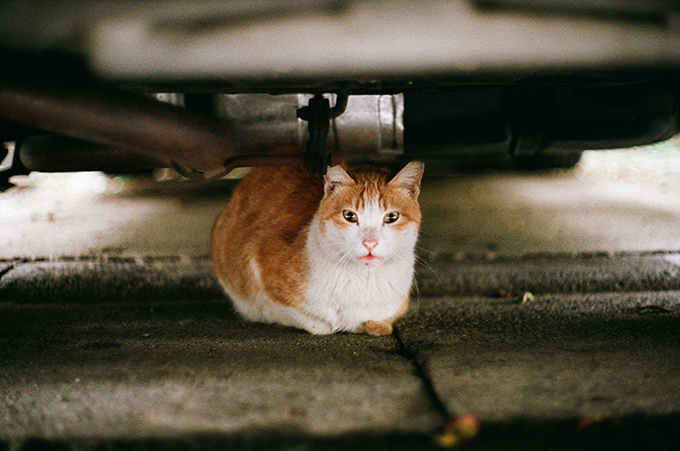 Does your cat have full access to your house, including your garage? A just-parked car has a nice, toasty, warm engine sitting under the hood. Cats have been known to be attracted to the warmth of engine and may find their way inside to snuggle up. To avoid scalding your cat or worse, give the hood a quick bang to insure they are not nested in there once you start your car up again. Check underneath the car, as well, to make sure they are not sitting there, which could also be a dangerous place they find warmth. It takes a lot of energy for a mammal’s body to stay warm through the bitter cold. 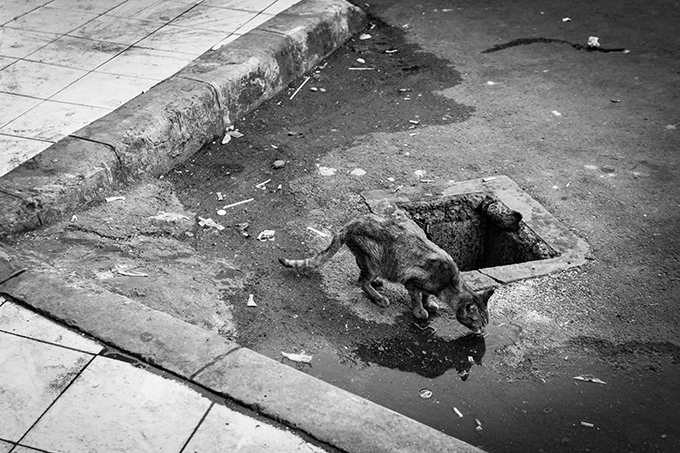 If your cat is primarily an outdoor cat, the chill can take an incredible toll on their body, causing dehydration. You may need to up your cat’s food intake, as well. If you are an owner of an outdoor cat, be sure to make clear entrances into the house that they can get through at any time. When the weather is particularly cold or if there is an intense wind chill, keep your cat inside. Poinsettias are a beautiful, flowering, red holiday plant. They are also fatally toxic to cats when ingested. Tinsel, used to make a Christmas tree glisten, can also wreck havoc on your cat’s intestinal system, obstructing circulation and blocking intestines. If your cat likes the bright, shiny things you use to brighten up a holiday space, be sure to keep them out of your cat’s reach. 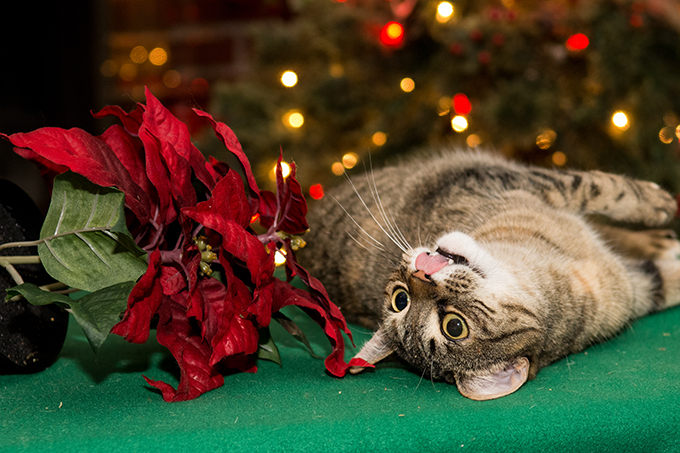 To be safe, opt for a cat safe plant instead of a Poinsettia. Space Heaters are amazing at keeping those drafty rooms warm, but they are also a fire hazard. Every year, numerous house fires are started by pets knocking them down. 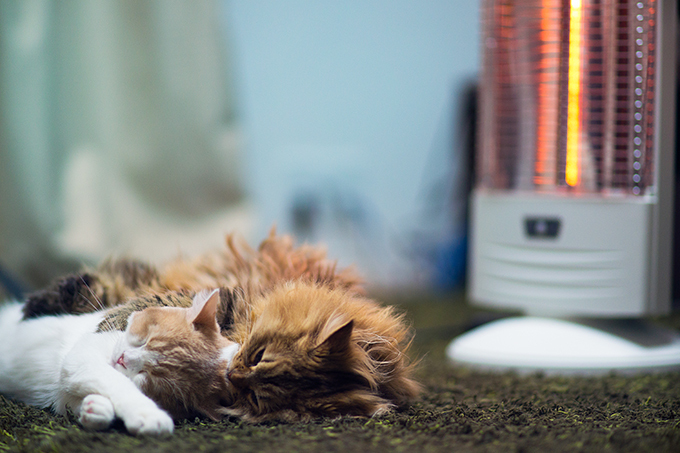 If you choose to use a space heater, opt for one that shuts off when it is tipped over. 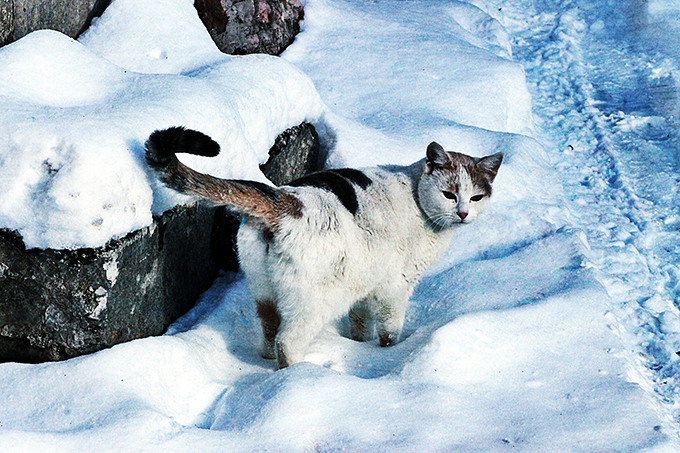 While outdoor cats are often resourceful, they still have trouble in the dead of winter. If your cat is older, has a leaner build, or has a thinner coat, they will be more susceptible to frostbite and hypothermia than other cats. Frostbite can quickly affect your cat, getting at their nose, ears, and toes–places where skin is thinnest. Your cat may be angry at you for taking away their freedom and keeping them inside during the brutally cold days, but you will be saving their life by doing so. What are you doing to insure your cat stays safe this winter season? Let us know in the comments below!